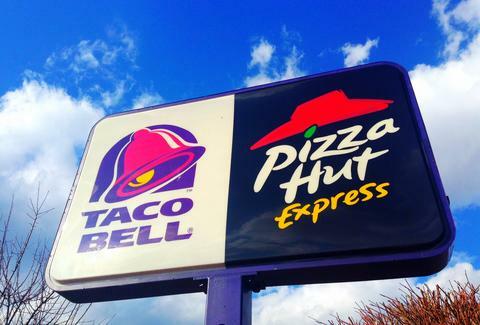 By the end of the year, Taco Bell and Pizza Hut will be offering... real food? Following in the footsteps of McDonald's and Subway, Taco Bell and Pizza Hut announced Tuesday they plan to rid their menus of artificial colors and flavors by the end of 2015, Eater reported. According to a report by The Guardian, this means the "black pepper flavor" in Taco Bell's beef will be replaced by actual black pepper. Which you've just been casually pretending is in the beef anyway, right? The chain will also be removing dyes like Yellow No 6 from its nacho cheese and Blue No 1 from its avocado ranch dressing, said Taco Bell's chief food innovation officer, Liz Matthews. Taco Bell's CEO Brian Niccol told Nation's Restaurant News, "[Customers] are telling us less is más when it comes to ingredients." The move is also likely the result of the chain facing competition from Chipotle being GMO-free as of April. Plus, what tastes better than booze and a Crunchwrap made with ingredients found in the natural world? Pizza Hut says it too will eliminate artificial colors and preservatives by the end of July. You can find more detailed nutrition info on Taco Bell's website. And if you're an unwavering fan of artificial ingredients, fear not, Taco Bell's beverages and Doritos Locos items will retain their current neon colors. For now. Lucy Meilus is a Staff Writer for Thrillist and would follow Taco Bell into hell if it asked her to. Follow her on Twitter at @Lucymeilus.